LIKE A TEENAGER IN LOVE…. I’m obsessed with Screen from Gr8Skn. It is an Spf 30 UVA & UVB sunscreen specifically designed for teenagers. It’s great for me because I have oily skin and I can’t deal with heavy sunscreens. The line uses no chemicals, and is full of anti-oxidants. It is extremely lightweight and has a watermelon scent. I love the website because they break down every ingredient in the product and why it is there. It is perfect under makeup as it hydrates without greasyness. So get with Gr8skn, because unfortunately the craziness in skin and life doesn’t stop when you hit 20.
is beautiful, so you better protect it. Unsun is a new suncare line that’s good for your skin and leaves no residue. It has naturally derived ingredients like shea butter, vitamin E, coconut oil and five different fruit extracts to provide moisture and antioxidants I have been using their SPF 30 Tinted Mineral Sunscreen. It has no Phthalates, Nanoparticles, PABA, Propylene Glycol, Oxybenzone, Retinyl Palmitate, Formaldehyde Releasers and Synthetic Sunscreens. This lightweight cream blended perfectly into my skin. It is designed for a range of skin tones from fair to “the darkest of chocolate” So play it safe in the sun with Unsun, and get risky when you’re indoors…. You need to know about an amazing Organic Suncare company. It is called Coola. Coola is all natural, organic, and provides maximum coverage with minimum residue. 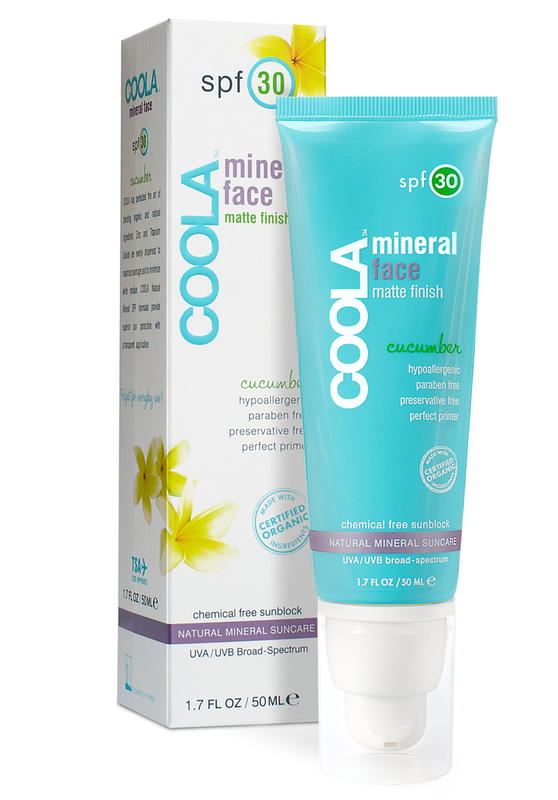 My favorite Coola product is the SPF 30 Mineral Face- Cucumber Matte Sunblock. This products gives you necessary protection, with out making you look greasy or clogging your pores. It’s matt finish also makes it perfect to use as a primer under your makeup. You need to protect your skin from the sun, do it the chemical free, natural way. So get Naked, but use protection ;)……….